Palmeiras without Barcos but with three debuting players. 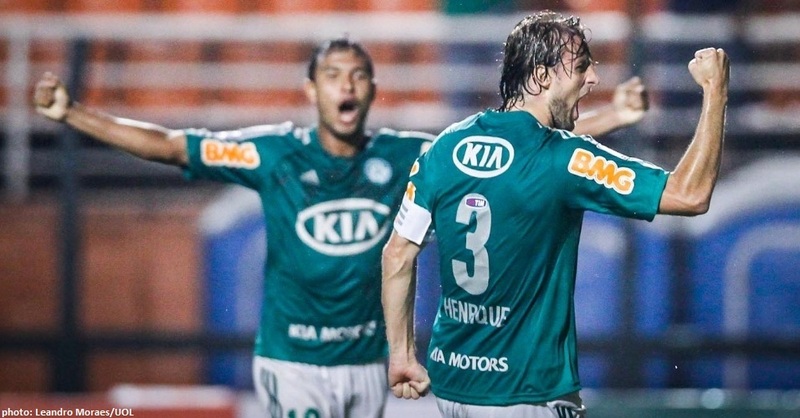 Palmeiras with three debuting players but without Valdivia and Maikon Leite. Palmeiras composed of Fernando Prass; Weldinho, Henrique, Maurício Ramos and Marcelo Oliveira; Márcio Araújo (Caio – 15’2nd H), Vilson, Wesley and Souza; Patrick Vieira (João Denoni – 29′ 2nd H) and Vinícius (Ronny – 23′ 2nd H). Mixed bag if you ever saw one. Under such circumstances, what to expect in a Copa Libertadores home debut against Peruvian champions Sporting Cristal? Perhaps not much. A tight victory at best; a likely draw; even a real possibility of a loss and the worst possible prelude to Sunday’s derby against Corinthians. Nervous game, yes. But the players stepped up to the challenge, brought a lot of heart to the pitch and stood the test. Sure, it could have gone either way. But on the whole, Palmeiras held the upper hand and would have won comfortably had it not been for a few spectacular saves by keeper Penny on the opposite side. Again: all brought it and I’m especially looking forward to seeing more of Ronny, who again came in smoking and showed potential. Great performances also by Prass, Henrique and especially Souza. We haven’t yet seen striker Kleber, the new signing from Porto, recovering from a muscle injury. Then there’s midfielder Rondinelly – fourth player in the Barcos deal – who just needs passing medical exams to be announced. Call me crazy, but for the first time in months I’m feeling a little bit more optimistic: the squad is growing and players seem to be fitting in. Previous Waiting for Godot. Or, at least, some information.